Acupuncture and herbs relieve premenstrual syndrome (PMS) according to recent research. A meta-analysis of 8 acupuncture studies and 11 herbal medicine studies revealed a success rate of 50% or greater for the reduction of PMS and premenstrual dysphoric disorder (PMDD). No incidence of major adverse events occurred. As a result, the researchers concluded that the acupuncture and herbal medicines investigated in the study are both safe and effective. PMS occurs during the late luteal phase of the menstrual cycle. The research notes that up to “25% of menstruating women report moderate-to-severe premenstrual symptoms. Approximately 5% report severe symptoms.” Acupuncture demonstrated the ability to reduce symptoms by 77.8% within 2-4 treatments. The treatment protocol yielding these results employed the use of acupuncture points DU20, LI4, HT3, CV3, CV4, CV6, PC6, GB34, UB23 and ear Shenmen. In addition, these results were significantly superior to the sham acupuncture controls. As with acupuncture, no serious adverse events were reported with the herbal medicines investigated in the study. The herbal medicines were effective in the relief of PMS and included the herbal formulas Dan Zhi Xiao Yao San and Xiao Yao San. Groups treated with either hand acupuncture, Vitex Agnus castus or Xiao Yao San demonstrated over a 70% improvement in the reduction of PMS symptoms. The findings of this recent study are confirmed in another study entitled the Therapeutic effect of Vitex agnus castus in patients with premenstrual syndrome. That study concludes, “Vitex agnus can be considered as an effective and well tolerated treatment for the relief of symptoms of mild and moderate PMS.” The same findings were concluded in the study Treatment of Premenstrual Syndrome with a Phytopharmaceutical Formulation Containing Vitex agnus castus. Getting back to this most recent study, Xiao Yao San decoction demonstrated an overall reduction in fatigue by 68.9% and a 74.8% improvement rate for the reduction of insomnia. Vitex Agnus castus showed greater than a 50% improvement rate for the relief of back pain. Xiao Yao San scored the highest for the relief of anxiety, irritability, mood swings and depression. The researchers note that, “For increased anger during the luteal phase, Vitex Agnus castus and Elsholtzia splendens treatment resulted in more than a 50% improvement.” Both acupuncture and herbal medicines demonstrated significant improvements over placebo controls with the exception of Cirsium japonicum. The researchers provided background into the use of complementary, traditional and alternative medicines for the treatment of PMS. A US telephone survey documented that 80% of women “preferred non-pharmacological interventions” including vitamins, supplements and other types of treatment modalities. Pharmacological approaches include the use of antidepressants, diuretics, psychotropics, progesterone, GnRh agonists, estrogen, oral contraceptives, “pyridoxine, ethinyl estradiol and drospirenone, and synthetic androgen and gonadotropin inhibitors.” Researchers discovered that the majority of women preferred “dietary changes, exercise, cognitive behavioral therapy, and complementary and alternative medicine” and other non-pharmacologic approaches. In related research, investigators find that acupuncture combined with moxibustion and cupping is effective for the treatment of menstrual pain. The study consisted of sixty-six patients with dysmenorrhea, menstrual pain. The pain was significantly relieved or eliminated in all sixty-six patients with a combination of acupuncture, cupping and moxibustion within 2-6 treatments. The main acupuncture points in the study were CV4 (Guanyuan), SP10 (Xuehai), K3 (Taixi), SP8 (Diji) and SP6 (Sanyinjiao). A differential diagnosis was made for each patient. Cupping and moxibustion were added to CV4 and ST28 (Shuidao) when indicated by the diagnosis. Another study finds that acupuncture at acupoint SP6 is effective for the treatment of menstrual pain. Blood samples were taken of participants during the study. It was shown that although acupuncture decreased menstrual pain, it was not related to plasma levels of prostaglandins. The researchers concluded that the SP6 acupoint analgesic effects are not mediated by prostaglandin changes in the bloodstream. Jang, Su Hee, Dong Il Kim, and Min-Sun Choi. 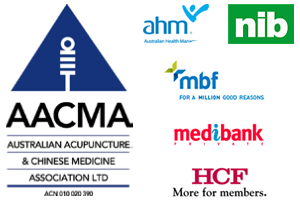 “Effects and treatment methods of acupuncture and herbal medicine for premenstrual syndrome/premenstrual dysphoric disorder: systematic review.” BMC complementary and alternative medicine 14, no. 1 (2014): 11. Kim SC, Kim SN, Lim JA, Choi CM, Shim EK, Koo ST, Ha JY, Sing KR, Sohn IC: Effects of acupuncture treatment on the premenstrual syndrome: controlled clinical trial. J Korean A&M Soc 2005, 22(1):41-60. Kim SY, Park HJ, Lee H: Acupuncture for premenstrual syndrome: a systematic review and meta-analysis of randomized controlled trials. BJOG 2011, 118:899-915. Chou PB, Morse CA, Xu H: A controlled trial of Chinese herbal medicine for premenstrual syndrome. J Psychosom Obstet Gynaecol 2008, 29(3):185-192. Xu Y, Sun Y: Observation of therapeutic effect of point-through point acupuncture method in the back on premenstrual syndrome. J Clin Acupunct Moxibust 2006, 22:37-38. Guo S, Sun Y: Comparison between acupuncture and medication in treatment of premenstrual syndrome. Shanghai J Acupunct Moxibust 2004, 23:5-6. Tamborini A, Taurelle R: Value of standardized Ginkgo biloba extract (EGb 761) in the management of congestive symptoms of premenstrual syndrome.Rev Fr Gynecol Obstet 1993, 88(4):47-57. World Journal of Acupuncture – Moxibustion. Volume 22, Issue 2, 30 June 2012, Pages 68–70. Acupuncture and moxibustion combined with cupping for primary dysmenorrhea in 66 cases. Ming-gao LI, De-chen LI, Shu-ren LI. Shi, Guang-Xia MSc,†Liu, Cun-Zhi PhD; Zhu, Jiang BSc,;Guan, Li-Ping MSc; Wang, De-Jin MSc; Wu, Meng-Meng MSc. Effects of Acupuncture at Sanyinjiao (SP6) on Prostaglandin Levels in Primary Dysmenorrhea Patients. Clinical Journal of Pain: March/April 2011 – Volume 27 – Issue 3 – p 258–261. Have a Question? Or Want to find out More?